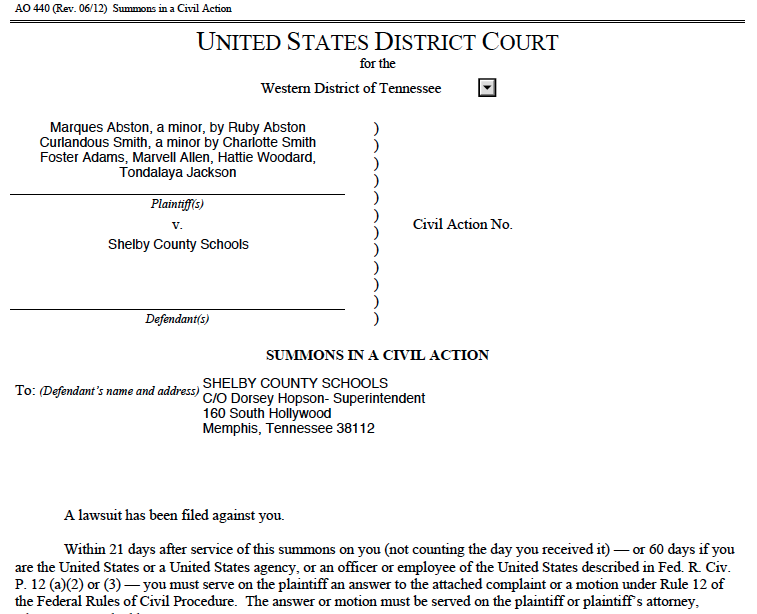 Citing the historic U.S. Supreme Court case that led to integration of America’s public schools, a handful of Memphis parents and teachers are suing Shelby County Schools over a recent school closing, claiming that its students will receive an “inferior and unequal” education at the school to which they are being reassigned. In a motion filed in U.S. District Court, three teachers, family members of two students, and a community activist argue that test scores at South Side Middle School, which is in the process of being shuttered, outpaced those at Riverview Middle School last year. They say Riverview is a dilapidated building in a gang-ridden neighborhood that would place students’ safety at risk. They also cite absence of computer and Spanish classes at Riverview, which were offered at South Side. . . . Author's Note: This post was originally posted April 12, 2015. It is being reposted in light of the leadership of the American Federation of Teachers and United Federation of Teachers supporting a corporate education reformer for New York State Education Commissioner. The disastrous budget that Governor Cuomo has achieved in New York deepens the attack on teachers and public education. Among its many regressive measures, the budget includes evaluating teachers based on standardized test scores. This is despite the American Statistical Association estimating that teachers affect test scores by a factor of 1% to 14% , and that evaluating teachers by scores may actually reduce quality. The development of a national teacher evaluation system based on standardized tests has been the ten-yeargoal of The Gates Foundation and The Broad Foundation. Gates wants to bring the data crunching of computer technology to create an automated system for ranking teachers and schools in order to create a two-tier system of education basically based on class differences. Broad wants to bring his business acumen to education, and like a businessman engaged in a hostile takeover, reorganize public education to be more efficient with the ultimate aim of privatizing public education, using taxpayer dollars, for private profit. 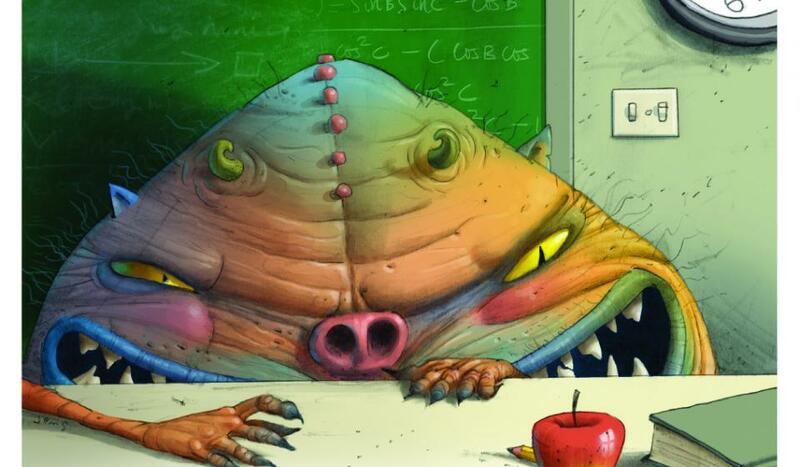 This hostile takeover of public education by corporate education reform is unfolding year-by-year, month-by-month. It is based on the economic theories of rightwing economist Milton Friedman. 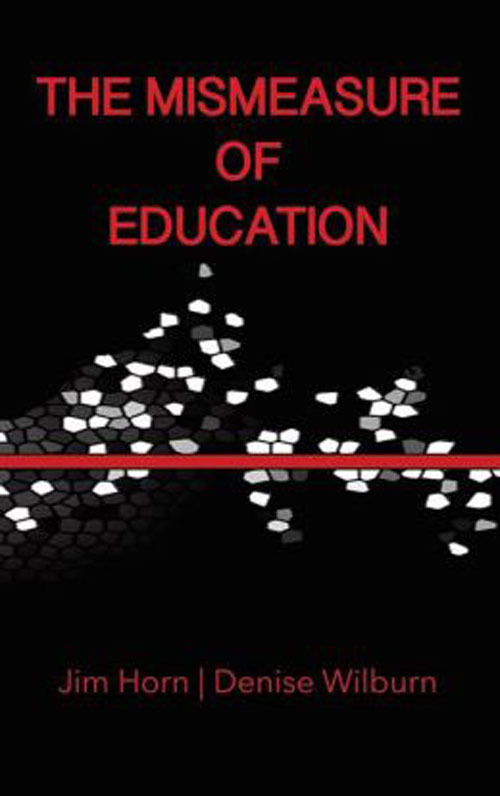 His vision for privatizing education can be seen in this 1995 paper written by him. For understanding of the consequences of Friedman’s economic agenda see Shock Doctrine: The Rise of Disaster Capitalism by Naomi Klein. 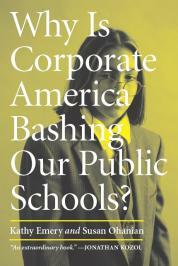 How has corporate education reform been able to advance its privatization agenda with little resistance? How can a program based on private profit over the common good be sold to the public despite the vast number of people opposed to this agenda? The growing Opt Out movement, mainly lead by parents, is the first sign of the growing opposition to the corporate agenda. After a year of being ignored by the corporate media, the Opt Out movement is gaining national attention, much to the dismay of education officials who have signed on to the corporate agenda. The national leadership of the teachers unions, the National Education Association and the American Federation of Teachers, have mouthed verbal support for Opting Out, but they have not put financial or organizational effort into the cause. A clue to why this is so can be found in a video of a conference of the right-wing American Enterprise Institute held on February 5, 2015. The conference was a series of panels from researchers supporting corporate education reform. A centerpiece of the discussions was the document “Singing from the Same Hymnbook”: Education Policy Advocacy at Gates and Broad. This paper is by Sarah Reckhow of Michigan State University and Megan Tompkins-Stange of the University of Michigan. Ms. Reckhow can be viewed at the AEI conference video talking about their paper starting at 16:00 - 27:30. The “Singing from the Same Hymnbook” paper explains why the leadership of the AFT has been missing in action in the Opt Out movement. On page 12 they detail how the corporate education reformers are deeply embedded in the U. S. Department of Education under Arne Duncan. This is followed by a description of AFT President Randi Weingarten’s collaboration with them to create a teacher evaluation system based on standardized testing. 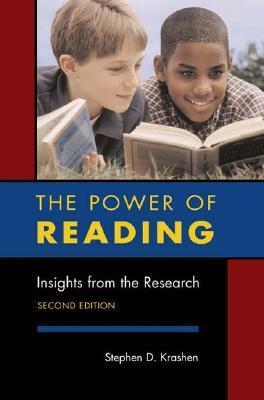 What follows is an extended excerpt (pages 17 - 19) from “Singing from the Handbook” about Weingarten's collaboration with the Gates and Broad Foundations to create a teacher evaluation system based on standardized tests. Overall, a pattern emerged wherein Gates and Broad increased advocacy grant﻿ funding to groups that gave frequent testimony—defined as three or more appearances﻿ before Congress from 2000 to 2012. Advocacy grant dollars to these groups grew by ﻿more than $12 million from 2005 to 2010—well above the overall growth in funding for ﻿national advocacy groups. The overall increase in national advocacy funding from Gates﻿ and Broad was 140 percent from 2005 to 2010, while the funding to those who gave ﻿﻿frequent testimony (included in Table 1, page 16) increased by tenfold. This funding growth ﻿﻿supports new actors, like The New Teacher Project, as well as the establishment groups, like the NEA and AFT. This suggests that Gates and Broad were pursuing a two-pronged﻿ ﻿funding strategy: diversifying the voices in the debate and extending ties to the education establishment. We know that a natural outgrowth of teacher evaluation systems will be differentiated compensation systems. We know from the first-hand experience of our affiliates that differentiated compensation systems developed and implemented with the full support and collaboration of teachers can succeed. Thus, the content of the Congressional testimony suggests that organizations appearing frequently before Congress and receiving foundation funds often provided aligned recommendations and perspectives on the issue of teacher quality—views that also aligned with Gates’ and Broad’s priorities. Month by month, year by year the conditions in the public schools are being eroded - and it is not only in New York under Cuomo. This is the result of the deliberate policy of starve the public schools, feed the charters in order to advance the privatization agenda while using standardized test scores to close or turnaround schools to charters in low income areas. 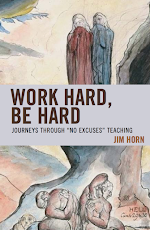 The hubris and aggressiveness of the corporate education reformers is because they know there will not be an organized and determined fight against their privatization agenda. This collaboration has been going on for a long time. They know that (unknown to their members), not only is the leadership of the American Federation of Teachers standing down from what a union is supposed to be, they are collaborating with the corporate education reformers. Arne Duncan says, "I didn't say that!" Called out on her support for Cuomo's running mate Kathy Hochul, Randi Weingarten expresses regret but wants more collaboration. "This is the same Kathy Hochul that AFT President Randi Weingarten robocalled for during the Democratic primary, claiming she was an excellent advocate for public schools." "Another gainful employment regulation opponent, the American Enterprise Institute, is listed as a Corinthian creditor. AEI scholars have repeatedly attacked rules, calling them as example of the Obama administration's "crusade against for-profit colleges." Last October Andrew Kelly, AEI's resident scholar on higher education education reform, specifically defended Corinthian and criticized the "Obama administration's bloodlust for such schools." Who to believe among "experts" on teacher evaluation at Albany Summit on teacher evaluations? A report that NY's teacher evaluation was developed by Thomas Kane, director of Measures of Effective Teaching project for the Bill & Melinda Gates Foundation between 2009 and 2012. More evidence of Randi Weingarten collaboration with corporate education reform. Decades after the U.S. Supreme Court's Brown v. Board of Education ruling declared segregated schooling of black students unconstitutional, many American schools with high minority populations continue to receive fewer resources and provide an education that's inferior to schools with large white populations. In many states, there continues to be stark disparities in resources provided to black students and white students. In Nevada, for example, high-minority school districts receive significantly less state and local funding per pupil than low-minority districts. These six graphs show the disparities. 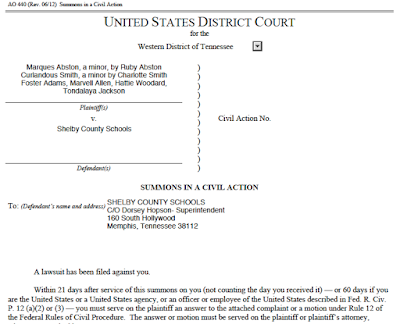 Having been unsuccessful in getting Shelby County Schools to listen to reasoned argument, South Side parents, teachers, and concerned citizens have filed suit against SCS in U. S. District Court to halt the planned closure of South Side Middle School in Memphis. Plaintiffs in the case allege violations under Tennessee statutes, the Equal Protection Clause of the 14th Amendment of the U. S. Constitution, and violation of Title VI of the 1964 Civil Rights Act. 1. Defendant SCS has voted through its Board and its Superintendent to close South Side Middle School grades six through eight and to move those children who previously attended South Side Middle School to a facility presently known as Riverview Middle School for the upcoming 2015-2016 school year. 2. Your Plaintiffs aver that the movement of students from the South Side Community to the Riverview Middle School is detrimental to the welfare and proper education of those students and parents in the South Side community. 42 USC Title VI . 4.The movement of students as planned by SCS fails to provide substantially equal educational opportunity for the South Side students because SCS students are being removed from their community and placed in the midst of a crime-ridden Injunction Zone from the Riverside Rolling Nineties Crips. (See Exhibit E Attached hereto) The Shelby County District Attorney General, Amy Weirich and the Environmental court have declared this area an injunction zone for gang activity. The area five blocks from Patton street which encompasses the Riverview Middle School has been determined a nuisance by the Shelby County District Attorney , the Memphis Mayor and the Shelby County Environmental court. This is no place to send our children. through eight. South Side has twice as many students. (See attached Exhibit B) With 166 Students, Riverview Middle is under-enrolled and does not enjoy some full-time course offerings such as computer and foreign language (Spanish). South Side offers both computer and Spanish. Riverview has steadily declining enrollment since its ten-year peak in 2004-2005 at 628 students, Riverview Middle is underutilized at 23%. There is a declining overall birth trend over the last ten years and an enrollment projected to continue to decline over the next five years. . South Side has a School Level Evaluation Composite of 3 although the chart, (see Exhibit C attached hereto) somehow reaches an unexplainable average of 2 although three’s are present across the board. This is the same inexplicable reasoning that is moving South Side to Riverview when it clearly appears the move should be the other way around. 6. The movement of students as planned by SCS creates inferior education and inferior treatment for the South Side students rather than the equal treatment contemplated by the fourteenth amendment to the United States Constitution and equal protection provisions of the Tennessee constitution. The Riverview Middle Structure is in a dilapidated and hazardous condition. Pursuant to the 2013 physical needs assessment (See Exhibit D attached), Floor urinals are antiquated and do not meet ADA standards. Stairwell treads have lost their integrity. The window system is old and needs replacing. The interior lighting needs replacing. The roof was thirteen years old and in poor condition. The parking lot was in disrepair. The locker rooms were in need of renovation. The ceiling in the kitchen needed repair. The cooling tower, chillers and air handler were needed replacement at a cost of $650,000/ The South Side facility and structure is in excellent condition. 7. Moving children , if not carefully done can be detrimental and cause the children to slide backwards. In this instance of the move from South Side to Riverview, it has not been well done.